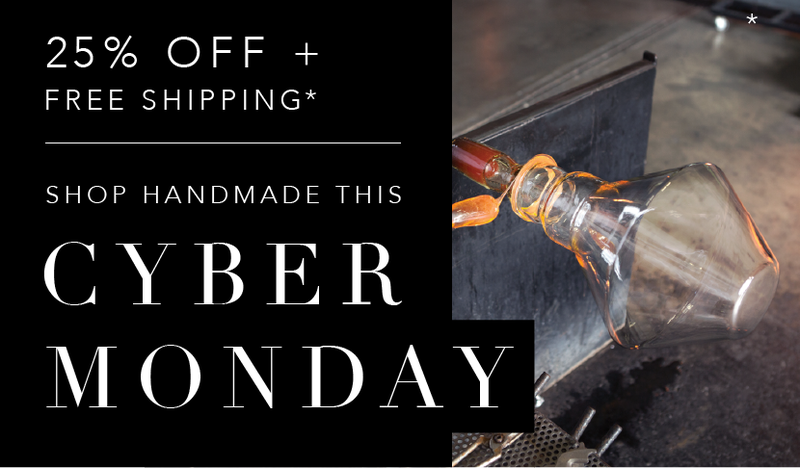 This Cyber Monday, why not pledge to support local makers and designers. Despite our global reach, Niche is a small company staffed by real people, just like you operating out of a studio in the small city of Beacon, New York. Everything from design to fabrication happens at the hands of our talented team. We know it may be difficult to pass up deals from big box stores and large online retailers, but we're providing some incentives for your love of locally-sourced, handmade products. From now until Friday, November 30, use our exclusive code SHIP300 at checkout to take 25% off all hand-blown glass pendants*. For those in the Continental US, you will also receive free shipping on your orders. So what are you waiting for? Get shopping!